New home buyers are increasingly requesting home theater rooms when shopping. 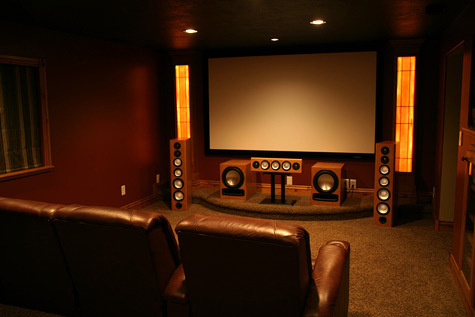 A recent article in the San Diego Union Tribute said that among the most frequently-requested features in a new home are home theater rooms. The article speculates that it is because there is so much technology now that we need a place for all of it to converge. I think it's so much more than a convenient place to store gadgets and gizmos, though: for most of us, it's our own portal to another place and time. Think about it: how many other rooms in the house are there exclusively for pleasure, and for relaxation? 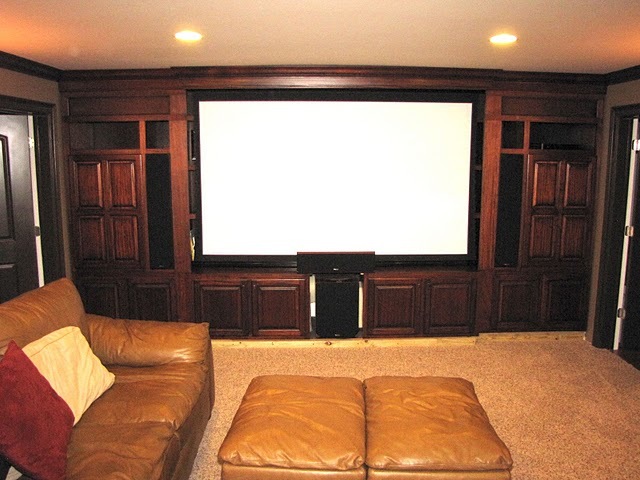 How do you make your home theater rooms appealing to future buyers? The article suggests you hide all your wiring, and you choose 'less' furniture over 'more' to make the space look bigger. Have several lighting options available. Although perfectly dark cave-like home theater rooms are ideal during a movie, what about when you're getting settled in? What if you need to pause the movie while someone refreshes the beverages or takes a bio break? Do you have to throw on full overhead lighting, or can you take advantage of the numerous rope lighting or under-counter lighting options, or even just good old fashioned dimmers, to give you plenty of options for your media space. 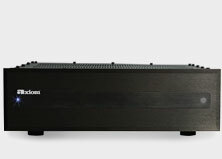 Take advantage of today's high-end home theater offerings to choose in-wall or in-cabinet speakers where appropriate, or if you have a lot of space, look at custom matching options or paintable speakers to create a really unique and personal home theater look. If black boxes don't inspire the decorator in your home, don't despair: there are plenty of options out there! Although glossy home theater magazines are fun to look at it, search out other pictures of home theater rooms to give you real-world ideas for your special space. You'll be amazed at how creative people are, and you may just be inspired to try something unusual in your room, too! 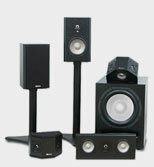 It's exciting to see the growing interest in home theater rooms. With all the technology currently available to us, it's great to have a place in our homes where we can experience the pleasure of a truly interconnected experience. 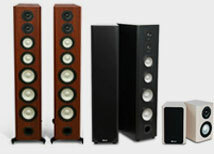 I know a home theater system is at the top of my list! Most people I know have them now. Just finished our home theater! 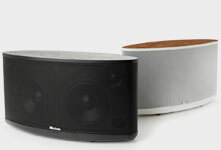 <a href="http://roomstogrowusa.web12.hubspot.com/hometheater">Backyard Rooms</a> installed it in just a few days! Love it, Should have done it sooner. I really like your idea of having several lighting options available. I'm always surprised how many people DON'T consider this when they are setting everything up. It really doesn't end up costing you that much more when you really think about it.